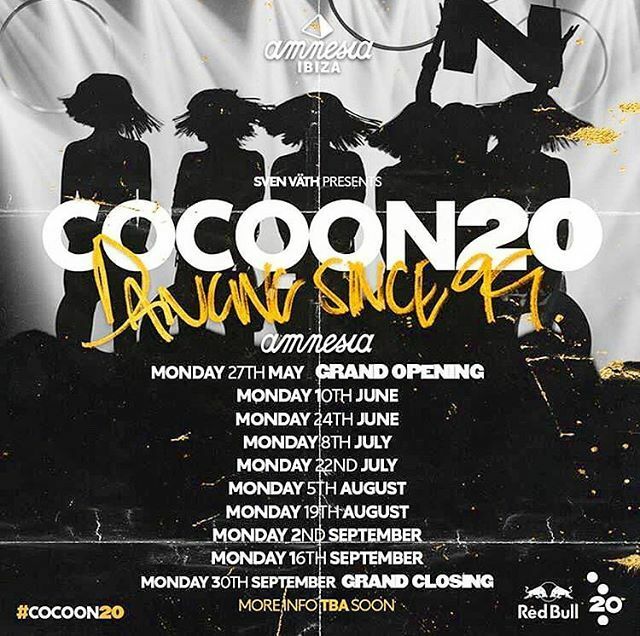 Sven Väth is taking Cocoon Ibiza back to Amnesia this summer. Having been located at Pacha for 18 months, the party is returning to its former home for ten Mondays from 27th May for its 20th anniversary. See the dates below. One-off events in Ushüaia and other Ibiza venues will be confirmed soon. Väth is among the names who will play Ultra Miami later this month. He will also play Tomorrowland in the Belgian city of Boom in July. In December, Amnesia had its licence temporarily suspended by San Antonio council.